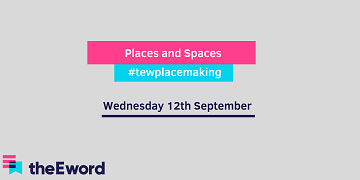 If you weren’t there, we held our Places & Spaces event on Wednesday 12th September at the magnificent XYZ Building in Spinningfields. Below are the placemakers who we had on the panel (minus Prof. Cathy Parker, who couldn’t make it due to illness – although you were there in spirit, Cathy!). Between the intriguing debate, the fantastic location (hats off to All Work & Social), and the myriad of croissants, we had a fantastic time. And we hope you did too! In this age where every decision is made with the endorsement of a five-star review on Yelp or Trustpilot or TripAdvisor, it’s nice to know that ‘word of mouth’ still exists. Placemaking is elusive, but if things are kept simple, you’ll soon have a place to be proud of. Whether you’re a developer, an architect, or you’re in charge of marketing, it’s important that you can step out of your professional role and, for just a moment, think about what you would like if you were the visitor. What would your family and/or friends appreciate? A people-first approach is vital. When a new space finally opens, whether it’s a coffee shop or a block of apartments, it takes a while for it to integrate itself within the community. And sometimes, it never will. You could build a space at the centre of a bustling community and, instead of nestling itself within its surroundings, it could stick out like a sore thumb. That, you don’t want. The goal is seamless integration. You want your space to feel like part of the furniture, which is easier said than done. The first thing you need to do is understand the area – and the people within the area – and then you work out how your development will meet their needs. Phil Mayall impressed us with his answer to the prickly question of gentrification. His mission, and that of Muse Developments, is to improve neglected, abandoned, and forgotten areas of land on which nothing (or very little) had stood before. In many of these areas (pre-development), crime is sky-high. They remain a constant burden to UK councils and will continue to do so if they’re not improved. It has nothing to do with outpricing residents or pushing people to the outskirts of a city. It’s more about meeting the needs of an increasing number of people who want to live – and work – in a modern, city-centre environment. Our chests positively swelled at this point. Granted, Manchester has its challenges that it’s trying to overcome, but overall, it’s a shining example of redevelopment and growth. Manchester’s commercial life has intermingled with its social character. We now have a co-working culture that allows people to work their jobs around their lives rather than the other way around – which is the way it should be, right? We think so.